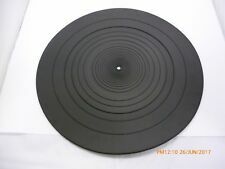 Black and White Strobe Felt quality slipmats with printed White Technics Logo. Sold as a pair. Price is for one foot. In good used condition, may have signs of wear. Genuine Technics lid dust cover in good condition it does have a lot of scratches and one very small crack on the front/side left of the deck. Pictures are shown from all angles to fully show the lid. WE ARE DECALCOMANIA. One precision die-cut Technics SL-1200/SL-1210 MK2 / MK5 Keith Haring decal skin. The skin is designed so that the decal is the pattern only, allowing the turntable finish to show through around the decal. Technics SL 1200 AND 1210 MK 2 AND MK3D Led Upgrade Kit. Enclosed in my Kits are all the LED'S To upgrade a Pair of Technics. 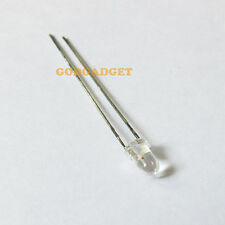 2 x LED'S For The Pitch Zero Board (1 Per Deck). 2 x (Prewired) LED'S and Resistors to replace the pop up Light (1 Per Deck). 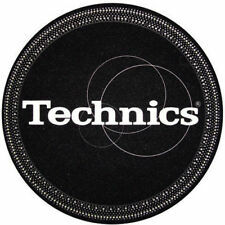 Technics Pitch Fader Shading Cloth. There's a slit down the middle of the cloth which allows the pitch fader knob to get through. 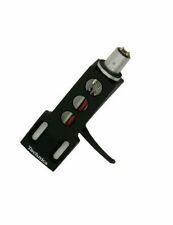 Compatible Models Any Technics turntable. Professional Installation Required Yes. 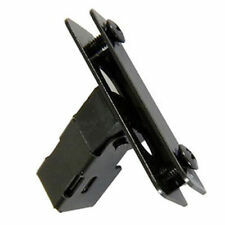 Technics Hinge Mount Supporter. Hinge part for Technics Turntable. Geniune Technics Part. 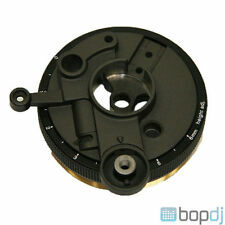 Compatible Models Any Technics Turntable which has a lid with hinges. Why people choose Bop DJ. Professional Installation Required No. TECHNICS LED'S. TECHNICS PARTS. TECHNICS SERVICES. TECHNICS STICKERS. TECHNICS TRANSFERS. TECHNICS PITCH LED. 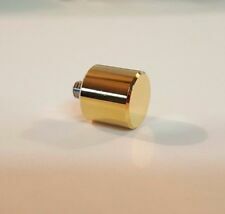 Suitable for Technics 1200 / 1210 MK2 / MK3 / M3D / MK5 / MK6 / LTD (not suitable for M5G / MK5G / GLD). TECHNICS 1210 1200 INNER HINGE BRACKET PLATES - USED. Condition is Used. Dispatched with Royal Mail 2nd Class. These ground wires are GENUINE new Technics parts with the part number SFEL028-01E and fit all versions of this industry standard deck. SL1200 / SL1210 MK2 MK3 MK5. SFPRT17201K is now supersed by SFPRT17201K1 and is identical. This is a Genuine Technics Part. 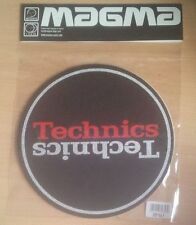 DMC TECHNICS - Classic Gold Logo Slipmats (pair). Made from the finest but strongest felt material, DMC slipmats are the no.1. DMC’s superior slipmats are your turntable and vinyl’s best friend. 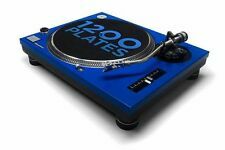 These slipmats will look great on your decks and are suitable for any set of vinyl turntables. This is a Genuine boxed Technics part SFQA122-03. The part is compatible with all the below decks. These are bespoke using a Bansky Design I believe he used in his New York experiment. Printed on Pro Grade 16oz, 1/16th of an inch thick Polyester felt Slip mats imported from America by myself specially for thecustom decks I produce. They have a glazed underside to reduce friction when mixing or Scratching and are printed using the sublimation method so as not to increase friction due to print on the top surface. 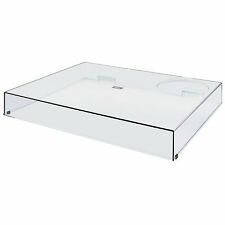 I make them in white as I want to be able to see any crap accumulating on my vinyl as I value it and the styli! They'll be sent via Royal Mail first class in a rigid mailer. Any questions? Drop me a message. For MK2 M3D MK5 M5G etc. 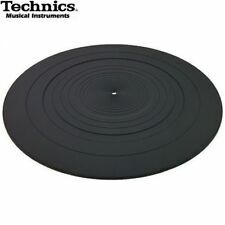 1 x Technics 1200/1210 Dustcover. The rubber front feet are missing on this item, however it can be used without or they can be easily with a piece of glued on bike inner tube and such like. Technics 1200 / 1210 MK5 motor / main board. Suit MK2 MK3 MK3D MK5. Item sent from here in Japan.